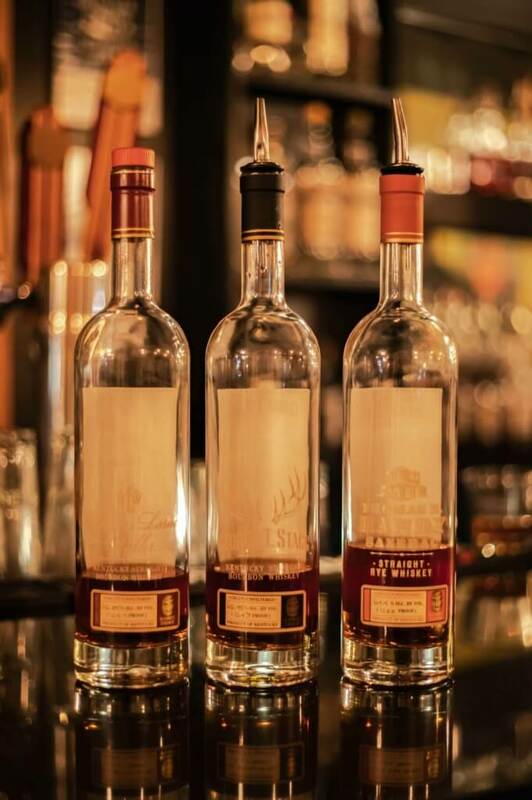 I recently had the opportunity to try some heavy hitting whiskies at a tasting event at Oak Haven Table and Bar in New Haven, CT. While the main draw for most people was likely the barrel proof bottles from the Buffalo Trace Antique Collection (I would have gone for just a BTAC tasting myself), I was also quite interested in some bottles that I would probably never seek out on my own: WhistlePig Boss Hog V: The Spirit of Mauve and Michter’s 20 Year 2018 release. We were the first ones to arrive and found our seats (with gift bags on each chair). The table was set and charcuterie boards were at each end of the table featuring some delicious wild boar prosciutto and Camembert. We started the beverage portion of the evening with “The Perfect Manhattan” made with Michter’s American Whisky. 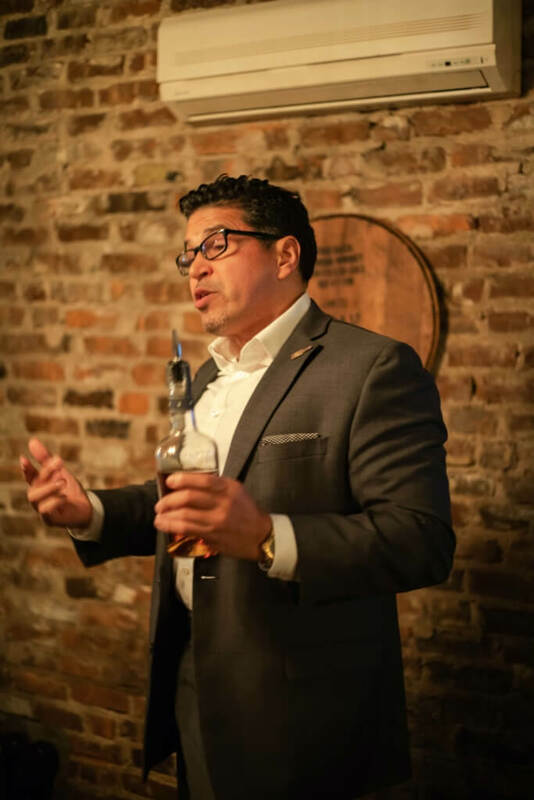 Javier Marcelo from Michter’s was on site to talk to us about the distillery and the Michter’s whiskey we were trying that evening. It was a great start to an action-packed night. Pairing one was oyster and crab in a creamy veloute served alongside William Larue Weller 2018. I think I would have started with George T. Stagg first if I were doing this tasting but kicking the night of with Weller proved to be the right call. I also really liked this pairing. The heavy creaminess of this course didn’t derail the whiskey at all. 2018 Weller is more fruit forward than in previous years. I think 2016 and 2017 WLW were better but that’s mostly due to flavor profile preferences. The second pairing was 2018 George T. Stagg served with a microgreen salad with toasted pecan and a sherry vinaigrette. This was an expertly-crafted pairing. The nuttiness and sweetness of the salad enhanced the dark fruit and leathery notes of GTS. As for Stagg itself, it’s almost always my favorite BTAC release each year and 2018 was no exception. Despite a slightly lower proof again this year, this Stagg was approachable and flavorful while maintaining that kick in the teeth we all come to know and love from this bottle. The next pairing shifted gears and moved the flavors to the next level. Our first rye of the evening was 2018 Thomas H. Handy served with a course of wheat bread topped with house made gravlax, capers, red onion and a rye-infused aioli. The gravlax (a cured, unsmoked salmon) was easily the winner of the night food-wise. The salty, savory notes here stood toe to toe with the extra spice from the THH. 2018 Handy was spice-forward, herbal, and fruity. It was as consistent as always and a very enjoyable pour. Damage was done to the Buffalo Trace Antique Collection on this evening. The penultimate pairing featured grass-fed short rib and duck fat rosti (a favorite side dish of mine) alongside WhistlePig’s Boss Hog V: The Spirit of Mauve. Tanya Porcelli spoke for a few minutes about WhistlePig and Boss Hog V before we dug in to this course. Her time at the event was unfortunately brief as I didn’t get a chance to ask her some follow up questions before she had to leave. The food was excellent but I was really looking forward to trying a pour I would never seek out otherwise. I’ve been critical of WhistlePig’s pricing in the past and Boss Hog V has been no exception. WhistlePig has done a great job of establishing a premium brand that sells lots of whiskey they don’t distill for exorbitant prices. To sell a rye that you purchased from someone else for $500 seems criminal to me but I’ll save this rant for my full review. The Spirit of Mauve is a 13 year straight rye finished in Calvados (apple brandy) casks. It was certainly the most unique and easily the most challenging pour of the night but the price tag just doesn’t match what’s in the bottle. Michter’s 20 Year. Old, expensive, and rare. 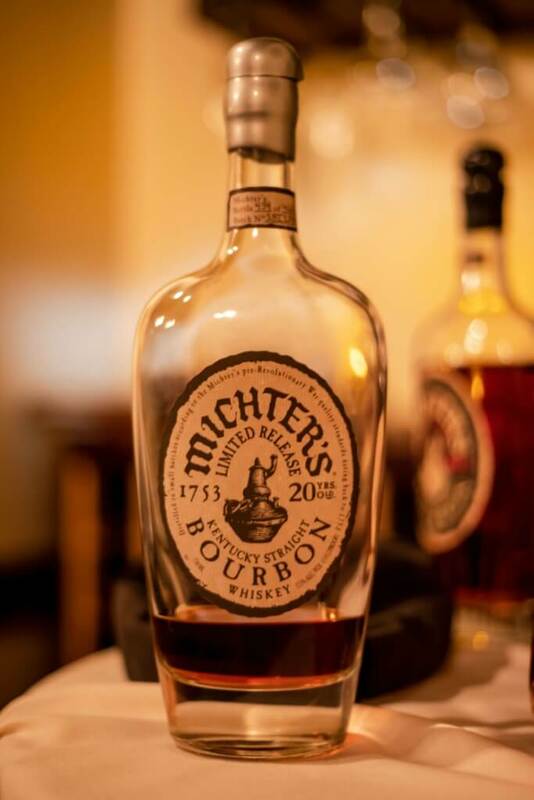 The final pour of the evening was a crème caramel served alongside Michter’s 20 Year. We don’t know the source of most Michter’s age stated bottles but this is labeled as Kentucky Straight so that at least rules out MGP and Tennessee. I know the legendary status that these well-aged Michter’s bottles have achieved over the years so I was wary going into this pour to ignore the hype train. As it turns out, that wasn’t a problem for me. While I thought this bourbon was extremely well balanced and had a beautiful progression from nose to palate to finish, 20 years of age is just too much for my preferences as I found that the oak overpowered the rest of the tasting notes. I seemed to be in the minority on this. All in all, this was an amazing evening with amazing whiskey and equally amazing food to go with it. The staff was attentive, the flow and pace of the evening was perfect, and the company was excellent. I’m already looking forward to next year! Full reviews of each of these pours to come soon! Looking forward to attending next year too. I’ll be curious to see if they can get the whole lineup next year. ER 17 and Saz 18 get harder and harder to find every year!